Our newsletter with news about our participation in VARPU–project, one of the biggest joint investments in AR and VR, is out. Other topics covered in our newsletter are our new customer case for Nokia, Daqri smart helmet and our new CEO’s thoughts on merging product communication. Didn’t get the newsletter yet? Subscribe now to read more! Our R&D is constantly testing new ways to better connect, work, learn, or experience with the help of new technology. The tests are done either together with our customers or they are linked to new cases. To share the experiences to wider audience we make videos of our latest tests. R&D tests: Mixed reality lets you teleport yourself to a virtual apartment to take a first look around without having to travel anywhere. Mr Pontus Siren, partner at Innosight/Huron in Singapore came to visit his old friend, our Creative Producer, Rami Salle. Once at Stereoscape he also shared his views on digitalisation of manufacturing industry in Asia with us. One more thing that Pontus Siren reminded us is the fact that Asian industries are very well informed of the development that is taking place in our industries. If we want to be the winners of the digitalisation of industry we should move fast. 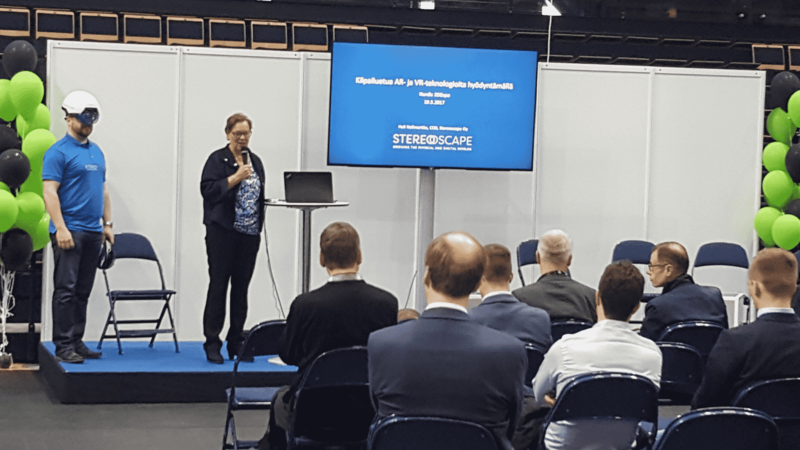 We at Stereoscape are ready – so let’s go! R&D tests: virtual collaboration: Virtual collaboration with VR headset and HoloLens lets two people in distant locations be present in the same virtual reality and work seamlessly together. R&D tests: telepresence: Telepresence lets you participate in the action although physically being elsewhere. R&D tests: leap motion: Leap motion lets you control virtual reality with your bare hands without clumsy controllers.